AN ANSWER IS EXPECTED considers human curiosity, and our quest for answers and proof. 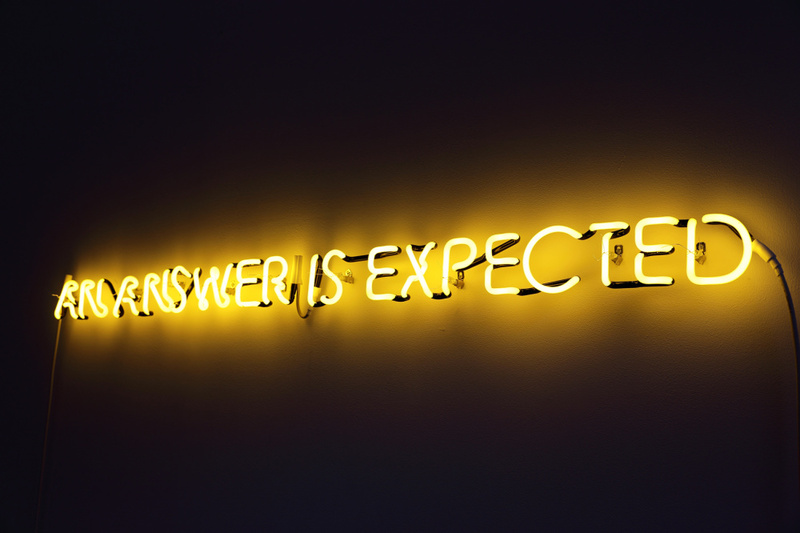 The neon piece AN ANSWER IS EXPECTED considers human curiosity, and our quest for answers and proof. AN ANSWER IS EXPECTED (2013-14) is a body of sculpture and video work that considers the historic and groundbreaking experimental ESP (extrasensory perception) work of parapsychologist Dr JB Rhine (1895-1980). Regarded as the Father of Modern Parapsychology Rhine was a leading researcher and published author. Rhine was interested in testing ESP, telepathy, psychokinesis and precognition through laboratory methods acceptable to science. Rhine began his renowned experimental research in the 1930s and developed tests employing the identification of unseen cards and the prediction of dice rolls. 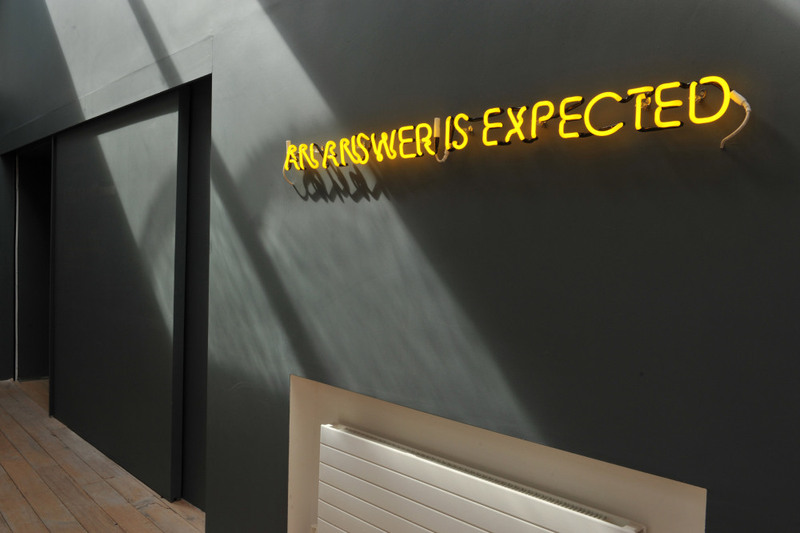 AN ANSWER IS EXPECTED is developed from the artist's 2011 residency working with the Rhine Research Center and Parapsychology Laboratory Records, Duke University, Durham, North Carolina. 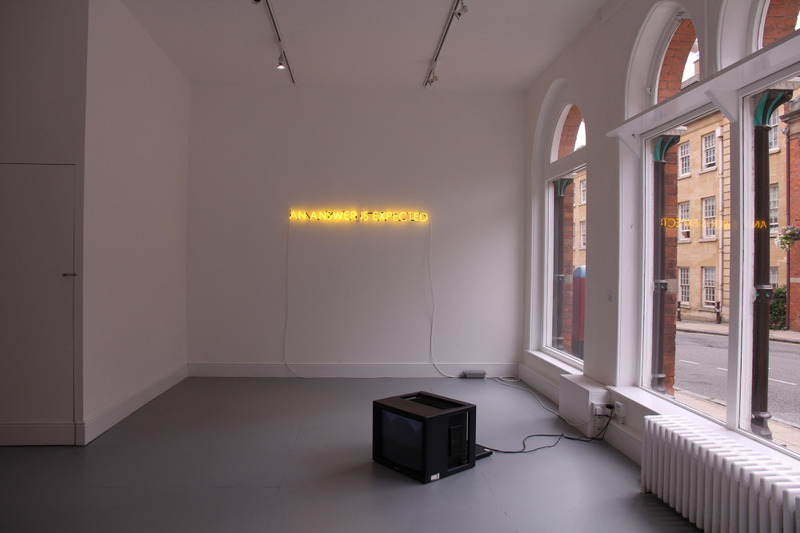 The residency was funded through the Arts Council of Northern Ireland.